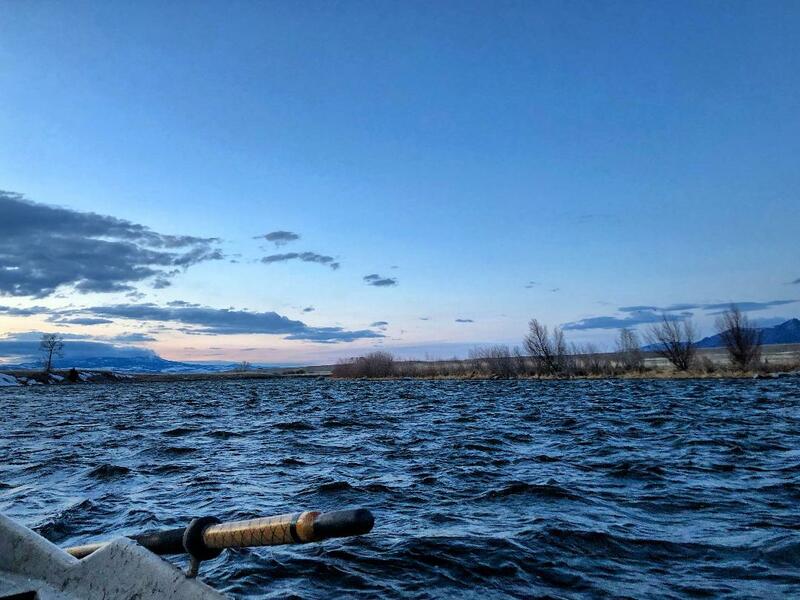 Madison River fishing report. The Upper Madison continues to fish well this Fall. Obviously some days are better than others, and the windy ones have made for a little tougher bite, but the river has been holding its own for the most part. 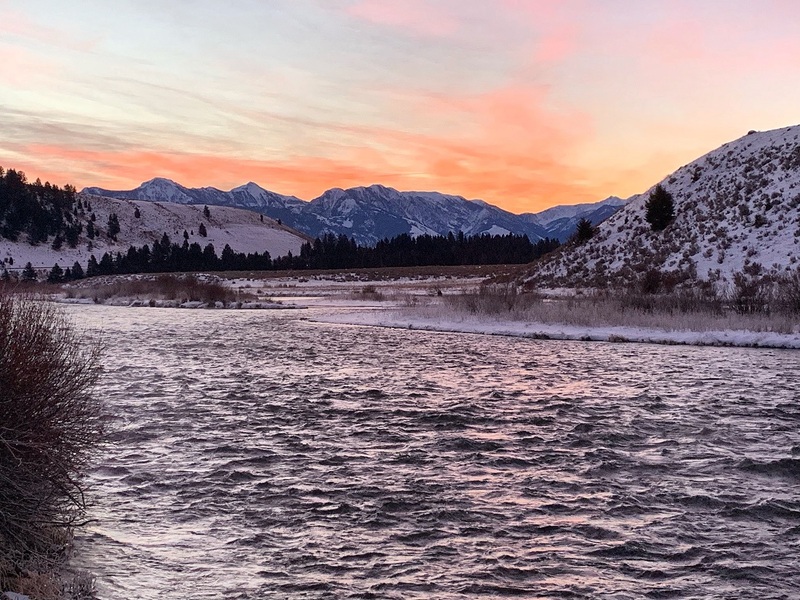 Flows are about normal for this time of year, and air temperatures have made for some really pleasant days over the last week but that is about to change starting tomorrow. The forecast is calling for highs in the high thirties to low forties for the next seven days, and we will definitely see some snow heading our way. The good news is that foul weather generally keeps the crowds down and we should be in store for some good hatches of BWO’s and Pseudos. Nymphs are still your best bet at getting into fish out there, although we have had some decent dry fly fishing in the upper wade stretch on the cool, cloudy afternoons. San Juan Worms, small Pat’s Rubber Legs, Galloup’s BWO Nymph, BWO Barr’s Emergers, Green Machines in grey and pheasant tail, Zebra Midges, JuJu Baetis, Micro Mayflies, and black $3 Dips have been some of our better patterns this Fall and will continue to be through early November. Dead drifting Zonkers and small sculpin imitations have also had their moments, but you’ll have a better shot at numbers by sticking to the smaller stuff for now. Baetis nymphs and emergers have been best in the late morning to early afternoon hours, and you’ll want to focus mostly on the midge drift in the early morning . We haven’t seen a ton of Fall BWO’s hatching quite yet, as most of the hatches have been pseudocloeons. Pseudos can be a little hard on the eyes when fish get on them, but a well presented #22 Parachute Adams or BWO Cripple is about all you need to get it done. One word of advice though…stick to the 22’s when they are on the water as a size 20 is given very little attention when these little guys are hatching. We should start to see the larger (size 20) BWOs showing up with the colder overcast days ahead and you can expect an emergence anytime between noon and two o’clock depending on the day. The streamer bite has been all over the place lately. One day its all about the morning and on the next you can’t buy a tug until the afternoon. Of course there have been other days over the last week where it’s just flat tough all day long, but you can usually get into some good fish if you stick with it. We started to see some good lake fish coming up from Hebgen into Yellowstone National Park as well between Quake and Hebgen. Valley Garden has been pretty crowded with folks chasing fish coming out of Ennis Lake, but it has been a little more difficult down there. Either way, we should see another good push of fish in all three stretches over the next week. We have been getting fish to eat larger profile flies like Kitties and Dungeons during periods of low light but fish have been more responsive to thinner profiles like Peanut Envys, Double Screamers, Sparkle Minnows, and small Barely Legals when the sun is high. Just keep changing up your patterns and colors until you dial it in, and you might just stick that brown you’ve been waiting for. Some days there doesn’t seem to be an answer, but when you finally crack the code the rewards are always worthwhile. Be sure to keep checking back for another Madison River fishing report from the Slide Inn.